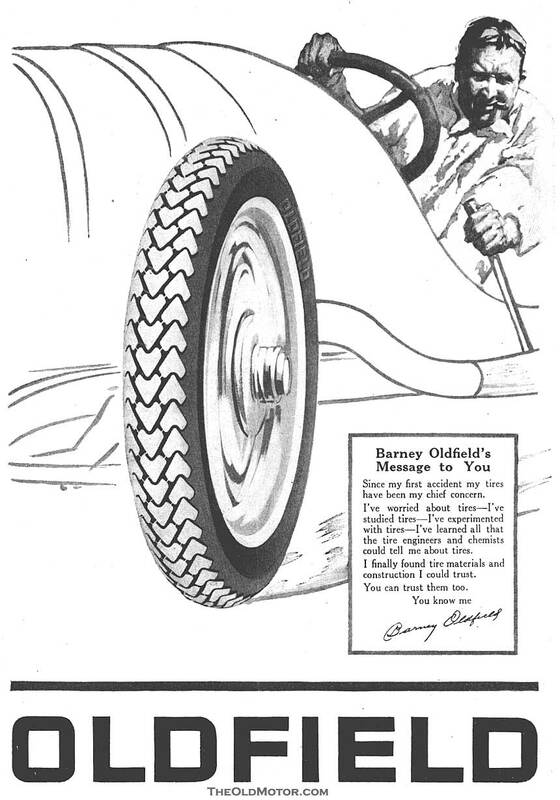 Oldfield Tires – “The Most Trustworthy Tires Built”: The names of Ralph DePalma, Tommy Milton, Eddie Rickenbacker, Jimmie Murphy, and Dario Resta are all writ large in the earliest days of motor racing, but none had quite the same flair for self promotion as Barney Oldfield. 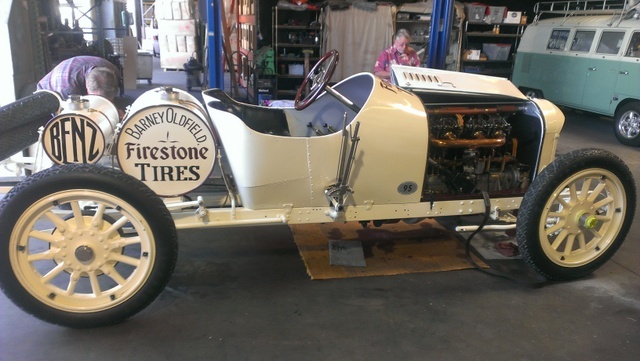 Today we have the story about his successful Oldfield Tire Company started after he retired from racing on http://theoldmotor.com/?p=110717"
Dad (1921-2009) Commonly used Oldfield as an example of speed. "That guy thinks he's Barney Oldfield". He must have been enormously popular back in the day. 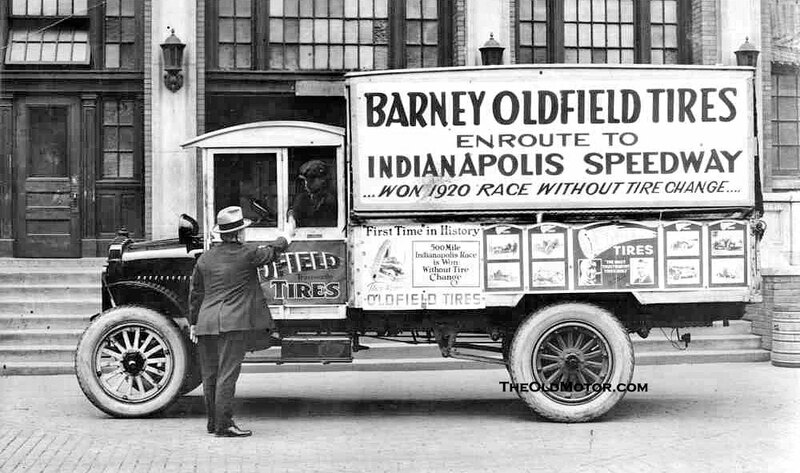 Barney Oldfield would kid everyone about the day he “made” Henry Ford. 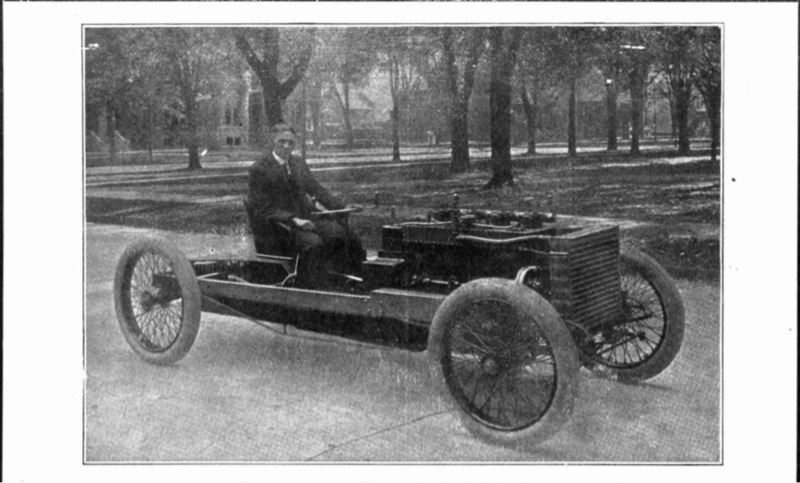 “Henry Ford said “we made each other, I guess I did the better job of it,” he commented in 1915. I wonder if G & J sponsored him??? Maybe a discount on future purchases? When Ford set a world record in 1907, Holley used the victory to advertise their magneto in full page ads, and Buffalo used the results in their carburetor ad. I would think Ford and any other auto maker would take advantage of any discounts they could negotiate in exchange for endorsements? Another great post with thanks to David&Rob.Bud. I believe the j in G & J Tire Company was Jeffery who built the Rambler cars. But who was the G? I don't know, but they advertised extensively in the pre Model T days. I see their ads quite a lot in 1900-1910 automotive magazines. A few years back,I had two Oldfield tires on some rims. They were well beyond the trust worthy state. I wish now I had kept the name section out of them. I do have a G&J tire tool and I noticed the Indy 500 museum has one also. I was lucky enough to see and hear the car above be test run before heading off to the Pebble Beach Concourse last year. We were told Barneys racer(Benz) was one of the first race cars to ever have commercial sponsorship signage on a car? I t seems his association with Firestone ended some time after and he went it alone? Does anyone know any more about Barney's career in the tyre industry? 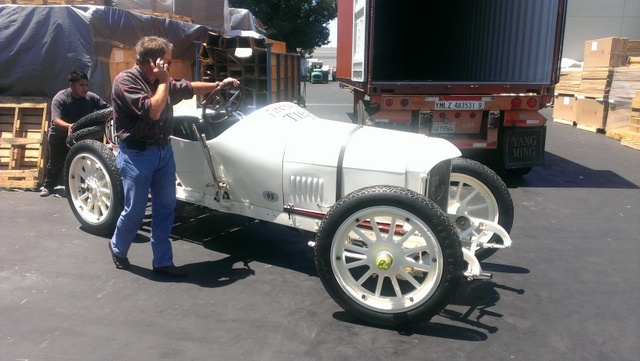 Interesting to note that he chose a European Benz to race in the USA rather thn local product? Thanks again to Longbeach chapter members, Frank Harris and Howard Genrich for enabling me to see such a rare car during my USA visit. Sorry, Silly question! Just read the link above. Barneys tyre venture was with Firestone blessing not in competition. thanks David for a very interesting article about a man who had a lot to do with Henry Fords early success in racing. I think Barney learnt a lot from the master!